This wonderful residence is nestled on a large level block in a desirable Mt Eliza tranquil location, complete with a huge rumpus room, a welcoming kitchen and meals area, large lounge/dining , two bathrooms, three bedrooms and the bonus of a separate bungalow for teenage children or guest complete with its own bathroom. 26 solar panels ensure that the electricity bills are virtually a few dollars. The large 2705m block is embellished with amazing fruit trees and whimsical gardens with a large shed at the rear of the property with its own power. An awareness & appreciation of nature is in abundance. 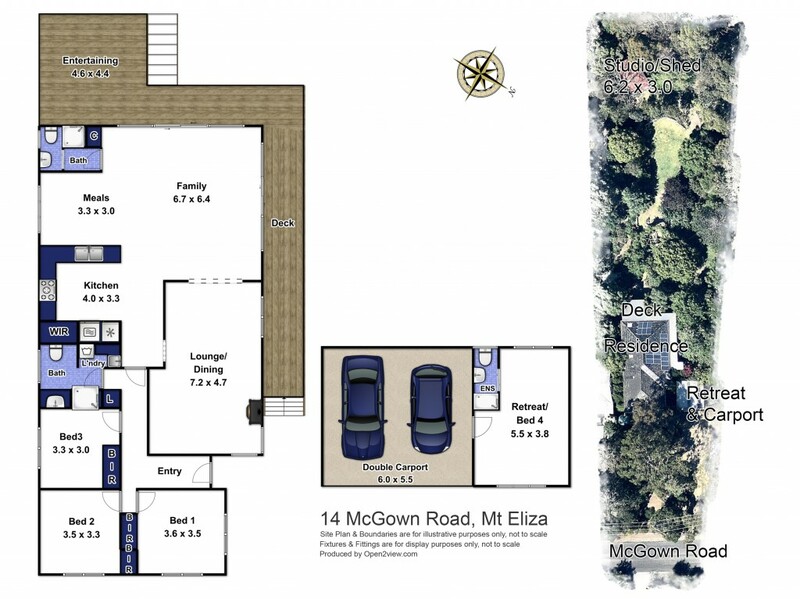 This home provides all the elements for relaxing, comfortable and easy care living with a warm sense of family, while being conveniently close to the amazing Mt Eliza schools, eateries and the Mornington Peninsula beaches.